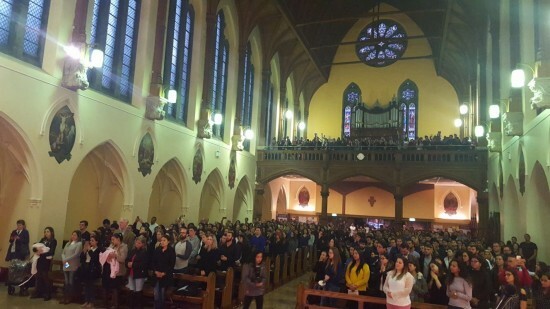 Every Sunday at 4:30pm the Brazilian Catholic Community in Dublin gather for Mass and fellowship in our friary in Church St. Dublin 7. 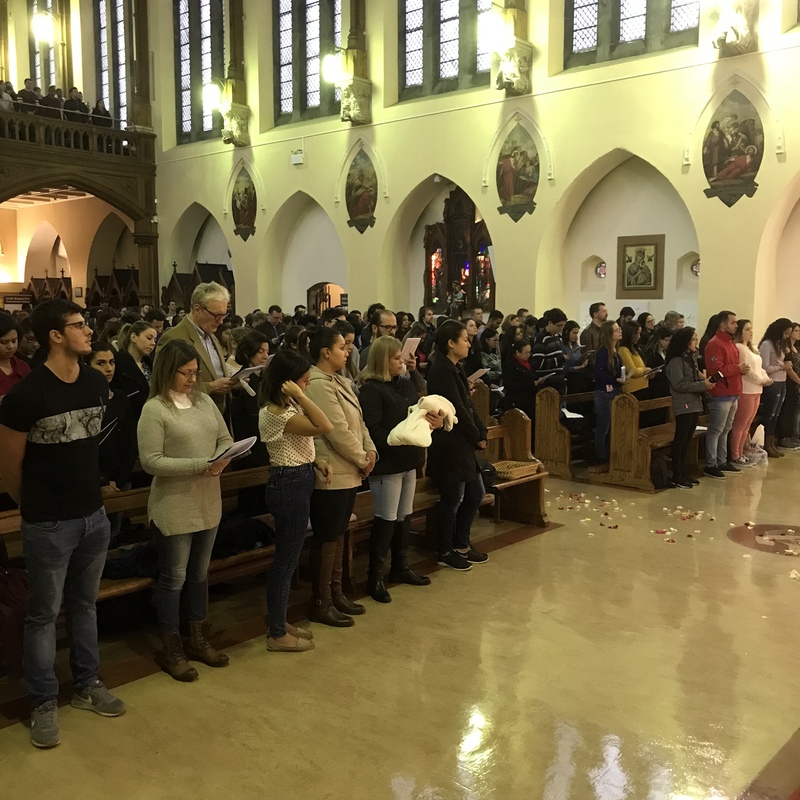 Last Sunday in Church street a very large congregation of Brazilian young people gathered to celebrate the 300th anniversary of the finding of the small statue known as Our Lady of Aparecida, who is the patroness of Brazil. 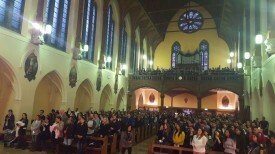 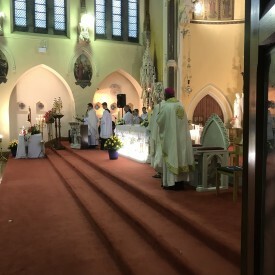 Archbishop Diarmuid Martin led the celebration. In his homily he spoke of the need for the Irish Church to learn from the Church in Brazil the importance of winning the hearts of young people.